The Korean Peninsula lies in the center of Northeast Asia. 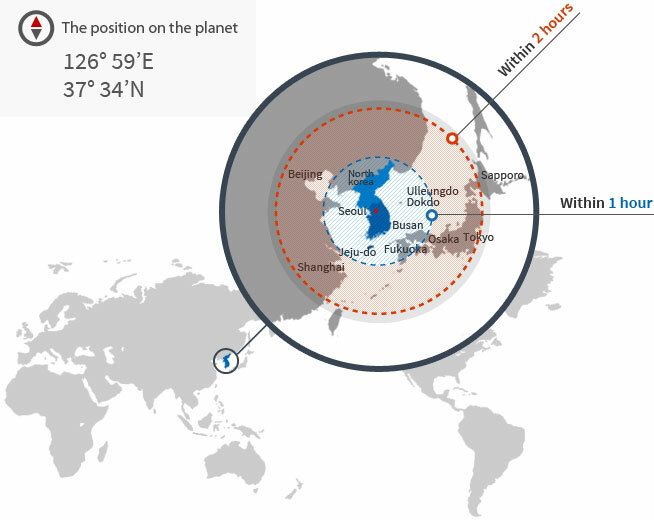 The coordinates of its capital, Seoul, are 37.34° N and 126.59° E, putting it in close proximity to the Yellow Sea. 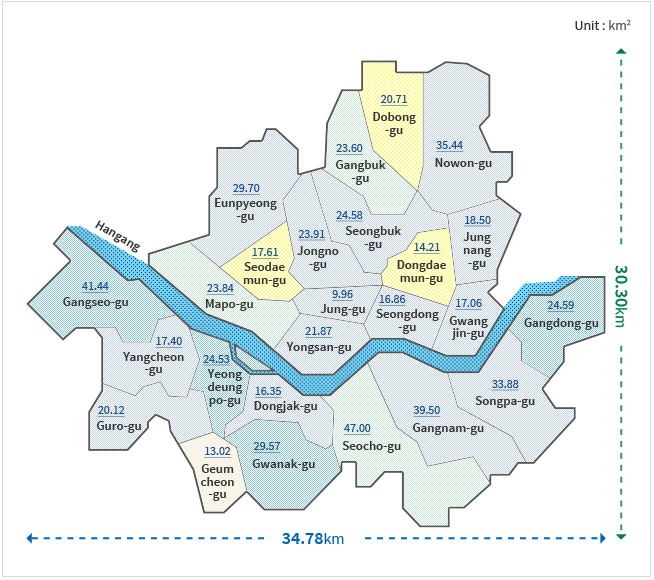 Seoul is within a three-hour flight from 43 cities with populations of over one million people. Korea’s location between China and Japan has been a great geographical advantage for the nation. The Hangang (River) flows horizontally across Seoul, dividing the city into two sections lying north and south of the river. There are 25 autonomous districts and 423 administrative “dong” units in Seoul. The city covers 0.28% of the entire peninsula (or 0.61% of South Korea), and spans an area 30.30 km north-to-south and 34.78 km west-to-east.